The Indian Space Research Organisation’s (ISRO) first unmanned mission to space will have a humanoid — a robot that looks and acts like a human — on board. This was revealed by K Sivan, chairman of ISRO on January 18, 2019, according to a media report. But there seems to be certain confusion around the status of this humanoid. In the first report, Sivan claimed that "we have our own humanoid model that will be used" and it is "almost ready". But two days later another media report narrated the story of a meeting between two ISRO scientists, Tirtha Pratim Das and Raghu N, with an amateur humanoid developer, Ranjeet Srivastava, from Ranchi. The scientists wanted to check if Srivastava could customise Rashmi, the robot developed by him, for use by ISRO. ISRO wants its humanoid to be able to simulate activity as close as possible to human physiology and characteristics, so that it can get its space modules ready for human space flight. But if ISRO already had a humanoid ready then why were its scientists scouting for another. The scientists later told Srivastava that the decision on whether Rashmi would be the first Indian humanoid in space will be taken after a review is conducted by ISRO in Bengaluru. This is not the first time that a humanoid would be used for space travel as agencies of United States (US), Japan, Canada and Germany have built and successfully sent humanoids to conduct various experiments in space. The National Aeronautical and Space Administration (NASA) of US built the first humanoid in space, called Robonaut 2, which has been assisting astronauts on the International Space Station (ISS) since 2011. NASA worked on the Robonaut project for 15 years before sending it to space. The first version of the humanoid took four years to be created. Russia is also planning to send a humanoid called FEDOR aboard its Soyuz unmanned spacecraft to ISS. FEDOR had created controversy in 2017 when Dmitry Rogozin, the deputy prime minister of Russia, had tweeted a video of the robot shooting guns with both its hands. If ISRO is able to successfully launch its humanoid in space project then it would be a major boost to the humanoid industry in India, and will also be useful to the Indian space industry. “I think that it’s a good idea to send a humanoid into space first. If an animal goes there, it would have needs which would be difficult to meet. For example, there will be the problem of providing oxygen and waste management inside the module,” says Santosh Hulawale, an independent innovator and developer of humanoids, based in Mumbai. “A humanoid will not require these facilities and work like a human being. Even better it can work long hours without getting tired. The robot can also be remotely controlled from Earth and given commands to do specific tasks. Apart from this there are no chances of fatalities which would be the case if animals are used,” he adds. Hulawale has worked on humanoids since 2008 and developed his first robot, INDRO, in 2016. Subsequently, he has also developed two other versions of the humanoid known as INDRO 2.0 and INDRO 3.0—which has around 47 individual joints and 29 servo motors, which make it very close to simulating human movement. “Taking cue from tests done with human-like dummies to check the safety of cars, a humanoid with sensors attached to it can also tell us if it will be safe for a human being to travel in the same module to space and simulate human space flight from the generated data,” Hulawale adds. However, he flagged some challenges with the current status of humanoid research. “Current humanoids are designed to do specific tasks but people want them to do everything, which at current state of technology is not possible. 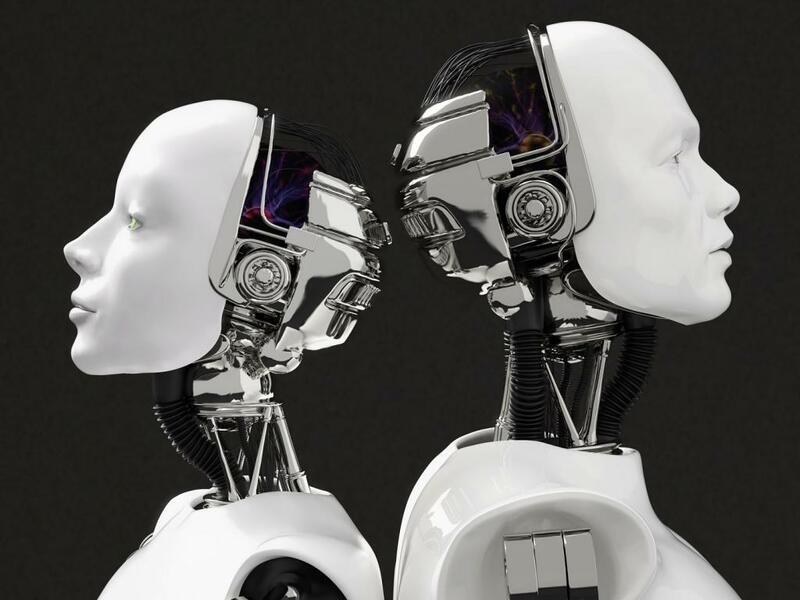 Humanoids like Sophia which can talk to people are based more on basic artificial intelligence, which comprises of software application and learning algorithms where significant work has been done. But less work has happened on making these robots move like human beings,” says Hulawale.